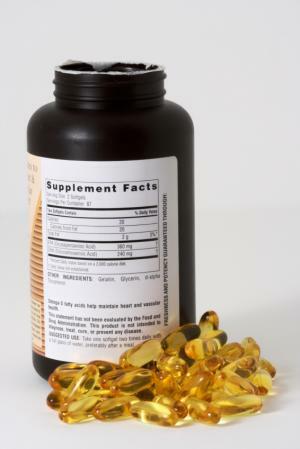 Dietary supplements can be beneficial to our health as we age. We must, however, be knowledgeable about what we are taking and why. Keep in mind that almost all necessary body nutrients are available from whole foods which should always be the priority source. Suppose you have discovered or heard of a something that you think might help you. Here are some questions to ask yourself. Do I know that it is safe? Does it interact with any drug or food I am consuming? Do I know that it works? Can I get the same thing from whole food? Here is brief review of four popular supplements among the aging. Calcium Deficiencies of calcium can lead to osteoporosis and other bone diseases. The best sources are dairy products, dark leafy greens, soybeans, beans, fish, and raisins. Dairy is by far the best. Many people who believe thay are lactose intolerant really are not and should give it another try with smaller daily amounts. If you are going to go for the substitute make it calcium citrate or lactate. These forms are best absorbed by the body. Glucosamine and Chondroitin These may give some relief from joint pain associated with osteoarthritis and other bone diseases. They are being studied for their effectiveness in slowing or reversing the deterioration of cartilage. Keep in mind that mild exercise can also do this. Coenzyme Q10 This is an antioxidant that exists in all human cells. Antioxidants are believed to be effective in helping to prevent cancer, heart disease, stroke and a variety of other ailments associated with natural aging. Specifically antioxidants prevent ailments by destroying free harmful radicals inside the human body. Some believe that CoQ10 may help retard the aging process. Fish Oil This is an Omega 3 fatty acid that is good for the heart, blood vessels and arteries. It is highly recommended for older people, particularly if fish is not a regular part of the diet. Always remember to look first to whole foods as a source of a particular nutrient. If you do choose alternatives stay within the recommended dosage. Excesses are wasteful and can even be harmful.